Miranda Jayne Whittier flees to London, escaping marriage to the Marquis of Melbourne, a man she's never met who is surrounded in rumors she can't overlook. With the last of her pin money spent, she accepts employment at Lady Constance’s House of Reform. Assigned to Viscount Harken, a handsome but difficult man who doesn't make their association easy, she is determined to help him and, in the process, solidify her position. She soon discovers he deserves better than he believes. Miss Claire Ashford knows exactly what she wants out of life – to marry for love. When she finds herself alone in the woods with none other than notorious rake, Ian Michael Caldwell, Viscount Knightly, her chances of a proper match are ruined. He is willing to sacrifice himself for the sake of her reputation, but she is determined not to marry anyone out of obligation. For years, Ian has wanted nothing more than, one day, to marry Miss Claire Ashford. When fate forces them into a compromising situation, he vows to do just that. In spite of every effort, she refuses his suit. Not one to easily give up, Ian drafts assistance from an unlikely source. As her first season continues, Claire finds it increasingly difficult to keep her distance from Ian. His charm, and ability to stir feelings inside of her she didn’t know existed, makes it hard to remember why she refused him in the first place. With his relentless pursuit and her weakening resolve, she desperately wants to give in to him. However, after seeing he hasn’t changed his rakish ways, how can she trust him not to break her heart, again? One night’s mistake finds Lady Annalise Hera in a very compromising situation. Pregnant, unmarried, and on her way to Gretna Green. Although Baron Dailey put her in this position, she belatedly realizes she can’t marry him and will do anything to get him to release her – even lie. After all, life would be better as a disgraced, unwed mother than the wife of a cocky, irritating man she can barely tolerate. Gordon Ashford, Baron Dailey, never thought much about his friend’s younger sister. That was, until she grew into a beautiful woman. Now, after one drunken night when he took her innocence, he can’t seem to get her out of his head. With her constant refusal of him, and perpetual need to argue, he should give her up. But he can’t, even though she’s told him she’s not carrying his child. Convincing her to accept him proves to be near impossible, but he’s not one to easily give up. Tethered to a restrictive life on her half-brother’s estate, Lady Isabella Rossland tries her best to find her own happiness. With the dreary gentlemen nearby not appealing to her restless spirit, she’s left with few escape options. Then, a man she’s known for years catches her attention, and she’s intrigued. What could make a man so aloof act so unexpectedly? It seems there is more to Lord Starsen than the person he presents to society. Marcus Hera, Earl of Starsen, vows to lead a calm existence, due to a fiery tragedy during his reckless youth where he suffered permanent injuries. As such, he wants a dutiful wife to complement his life. When his path crosses unexpectedly with the impetuous Lady Isabella, he’s shocked to find himself drawn to her. He resists his undeniable attraction to her, choosing duty over the confusing emotions she’s wrought in him. Realizing Marcus has a spirit that matches her own, Isabella makes her intentions known, only to discover he has made a promise to another. Not one to easily give up, Isabella must convince him she is the right woman for him. With his impending betrothal approaching, time is running out. Has she pierced his barriers and won his heart, or is she too late? Miss Carolyn Ashford wants one thing from marriage: love. After spending one informative season in London, she discovers the rarity of the emotion. Resigning herself to a life of spinsterhood, she leans on her brother’s charity. When she stumbles upon a secret garden on the Duke of Demoon’s property, she sets to restore it. As the garden comes to life, so does her spirit, as though she’s finally found her place. Edmund Marsham, Duke of Demoon, for over a decade hasn’t shown his scarred face—the only outward sign of surviving a devastating fire in his youth—to anyone outside of Moonlight Castle. Seeking sanctuary from his callous mother, he rides off to his grandmother’s secret garden. Once there, he is surprised to find a young woman has brought life back into the neglected place. Although he keeps his identity from her, they form an unexpected friendship. Before long, Edmund begins to want impossible things. Things he knows he can’t have. Carolyn knows her time with Edmund is limited considering he has no desire for a wife or child. With another man vying for her attention, she knows with him she will have everything that Edmund denies her. She attempts to distance herself from Edmund, but her traitorous body has other plans. Will her heart survive a temporary romance with Edmund, and will those memories be enough to satisfy a lifetime without him? Richard Carrack received the title of Marquis of Stonemede upon his father’s death six months ago. Knowing of the duties associated with the title, he decides to marry and spend the remainder of his days tending to the estate. His requirements for his bride are simple; he wishes her to be obedient and calm-spirited. 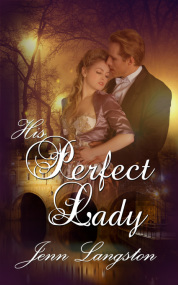 When circumstances place him in the path of Lady Brianna Denton, whose wild ways make her an unsuitable candidate, he lies about his identity to discourage her from pursuing him for his title. Brianna Denton knows what she wants out of life. She wishes to marry an untitled lord and live the remainder of her days in the country with no obligations. Only then can she spend her free time painting. When she meets Mr. Richard, she decides he would make the perfect husband. Little does she know, her boldness puts her in a position where she must decide between what she always thought she wanted and what her heart is telling her. Greyson Thorpe, Viscount Merrick, wants respectability above all else. Knowing the fastest way to achieve that state comes through marriage, he challenges Hammond Everett, the Duke of Donetic to a card game. After winning the match, the duke agrees to exchange his daughter’s hand in marriage for the forgiveness of his debts. Willimena Abigail Everett had no desire to marry after experiencing the violent nature of men at her father’s hand. 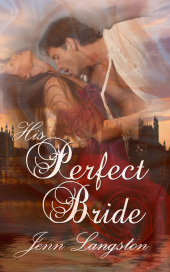 When Viscount Merrick arrives, she has no choice other than to obey her father and marry him. Will she be able to set aside her previous beliefs about men and judge her husband by his own merits? After obtaining good social standing, Greyson sends his bride to the country; however, he finds himself missing her. Following her to the estate, he discovers she had been living a double life. Will he discover her secrets and control his burning desire for her at the same time? Notorious rake, Jonathan Alastair, Viscount Linwood, has spent six years proving he has moved on after being cast off by the only woman he ever cared for. When their paths cross again, his desire for her reignites. Intending to pursue her for one night of pleasure, he discovers he wants more from the one woman who got away. But can he overlook her previous rejection in order to forge a new relationship? Mrs. Catherine Gates is cursed as evident by the swift deaths of two husbands, both on their wedding nights. Brought to London at the insistence of her uncle to remarry, seeing Jonathan again makes her body ache, however she must maintain her distance to save him from the curse. Unable to fight her building passion, can Catherine find a way to break the curse that threatens his life and her everlasting happiness? Kenneth Rawson, Baron Berwick, needs to marry an heiress, but when he discovers his new stable boy, Sam, is actually a woman, he finds himself intrigued. Knowing his choice of a bride must be based on more than blinding passion, he makes his stance on not marrying her very clear. Samantha Jenkins disguised herself as a boy after the tragic loss of her parents in order to escape a landlord who claimed she owed a debt. 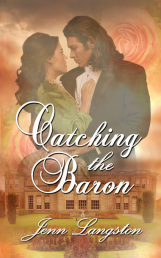 After spending time with Baron Berwick, she finds herself falling in love. However, a telling conversation with him makes her realize he only meant to remain with her until he weds. Will Kenneth realize he is lost without her and beg for forgiveness? Will Samantha forgive him? Grace Denton’s first Season solidifies her decision to never marry. How can she? The London gentlemen are boorish and unappealing. When reunited with the handsome yet brooding Braiden Everett, his hidden charm captivates her. If she marries him, she could obtain her dream of having a child of her own and a husband she can stand to be around. Despite his contentions to a union, she is confident their connection will help him as well. She has already seen how her proximity begins to heal his pain. Faced with his indifference, will she be able to control her building passion for him? Discovering women’s heartless nature, Braiden Everett, Duke of Donetic, has sworn off the foolish idea of love. Upon reentering his life, the sweet and spirited Grace illuminates the only light left in his dark world. He agrees her marriage of convenience proposal has some merit. But is it wise? He’s intrigued by her mind and tempted by her body. However, he refuses to lose his heart again. Besides, she deserves more than he can give. After all, he’s forgotten how to love, hasn’t he? Rebecca Doutree has a secret. A big secret. She is the author of the famous Unscandal Sheet. The anonymity provides her a unique position to discover the legitimacy behind local gossip and to aid the wrongly accused in her publication. When she meets the Earl of Dunmore, the facts hidden underneath the rumors surrounding him beckon her to unveil them. However, as she spends time with him to secretly uncover the truth, she discovers concentrating on her mission to be much harder than she anticipated. What is it about him that affects her so? 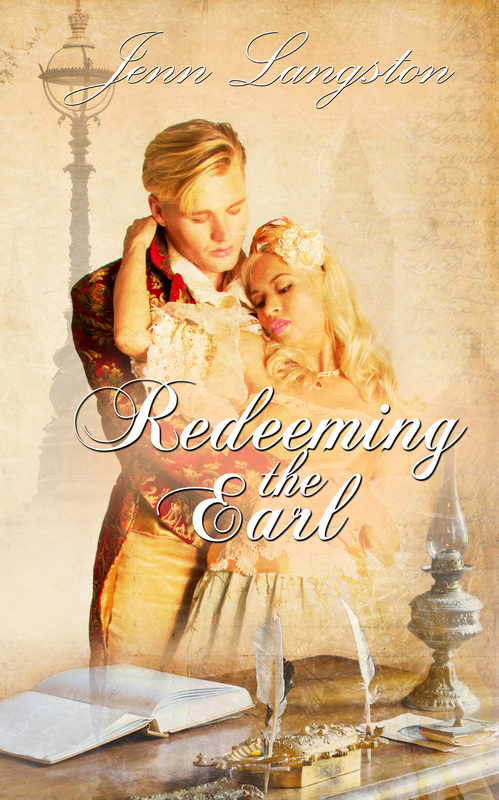 Charles Edwards, the Earl of Dunmore, only wants one thing: an heir. Yet, as a four-time widower, he is surrounded by scandal. Knowing of his duty to the earldom, he ventures to London to clear his name and obtain wife number five. Coming across the husky-voiced Miss Doutree, he turns his attention to her. To his surprise, he finds himself tempted by her like never before. The new feeling is discomforting, and he isn’t sure he likes it. Can he marry her and still remain the same man? Or, more importantly, will she survive the endeavor?